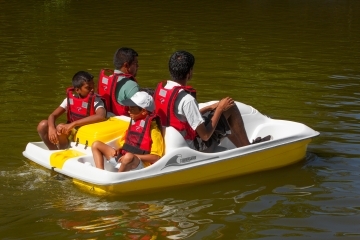 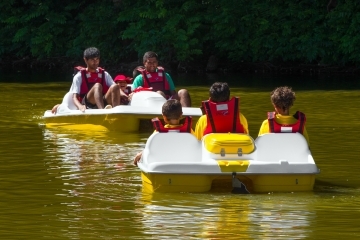 This pedal boat model is ideal for the fun of the whole family. It has a central (self-draining) bench for 3 adults and two seats for children in the rear. The location of the pedals allows 1, 2 or 3 people to pedal in a convenient, comfortable and stable way. The size of the paddles was maximized to make the pedaling easier and more effective. The fact that the metal components are made in stainless steel ensures a long life of them and the fact that the steering system is internal protects it from damage that may be caused by obstacles in the water. 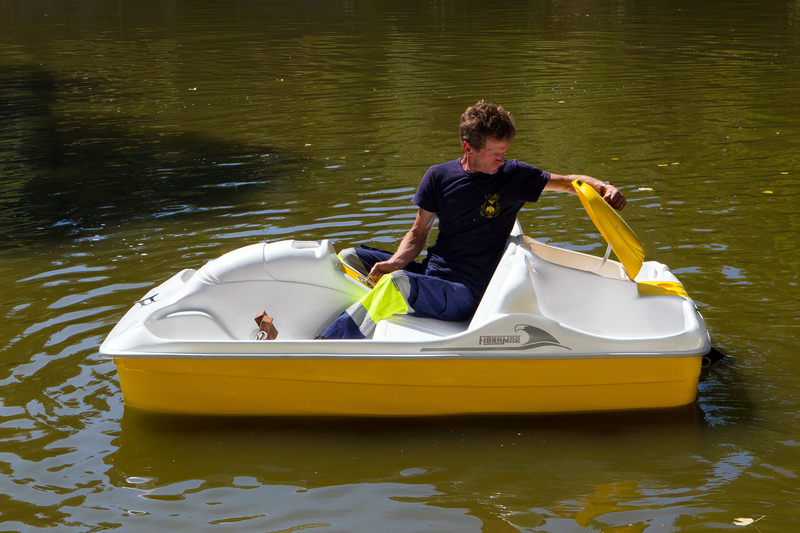 This model designed for families has two integrated cup holders and a compartment for storage between the rear seats. 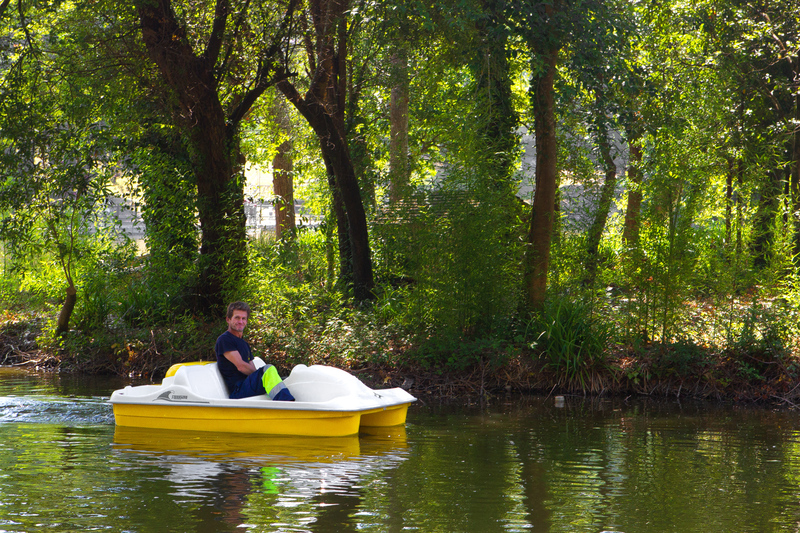 It is possible to install a cover for sun protection (optional). 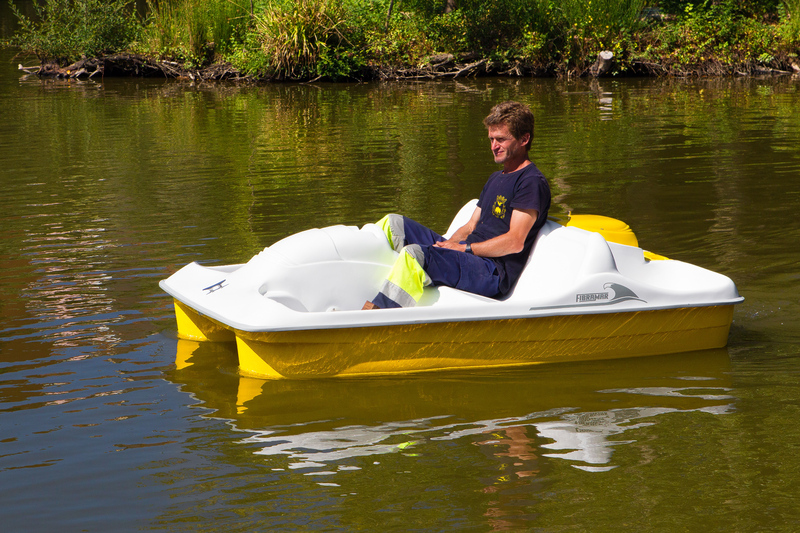 The hull is also prepared to be equipped with an electric motor. It is available in stock in blue, yellow or green. 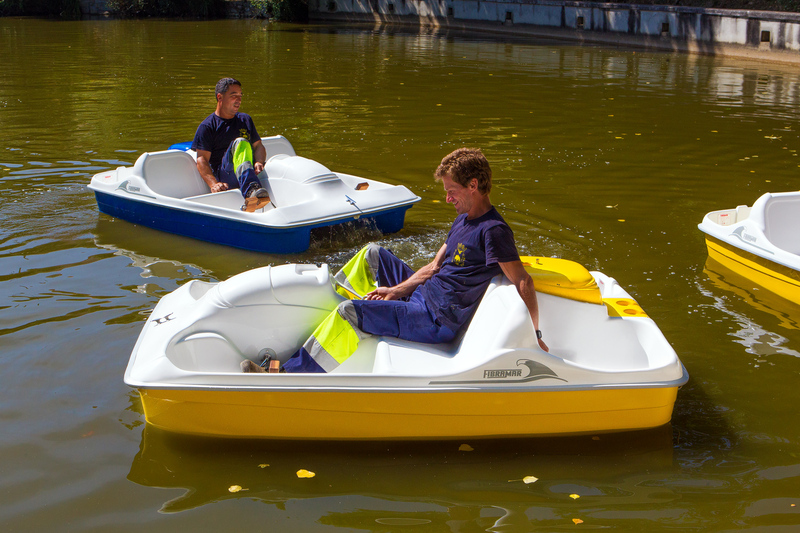 We manufacture in other colors on request. 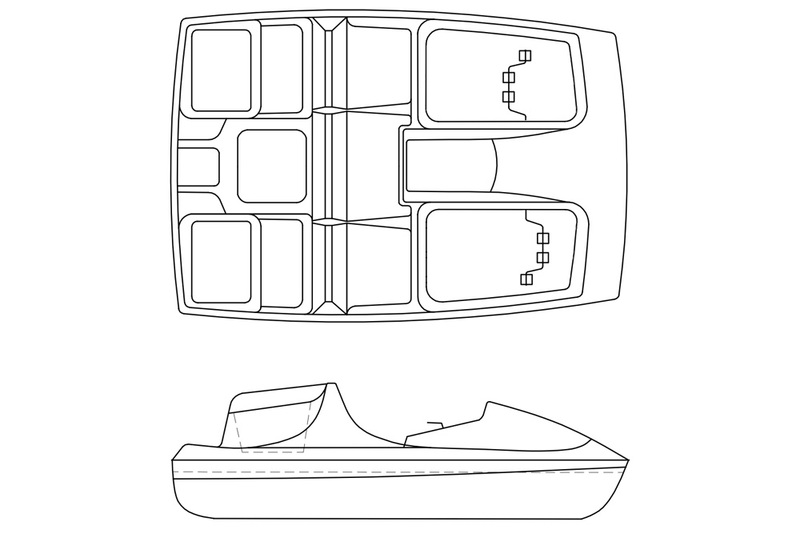 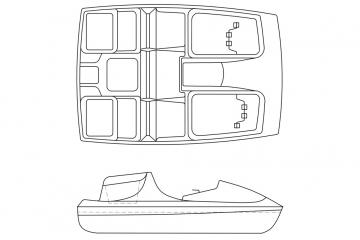 Cleat at the bow, U-bolt eyes at the stern, compartment for storage between the rear seats.